Washington D.C. [USA], Apr 13 (ANI): You already know that allergy season has arrived when you sneeze your head off frequently. 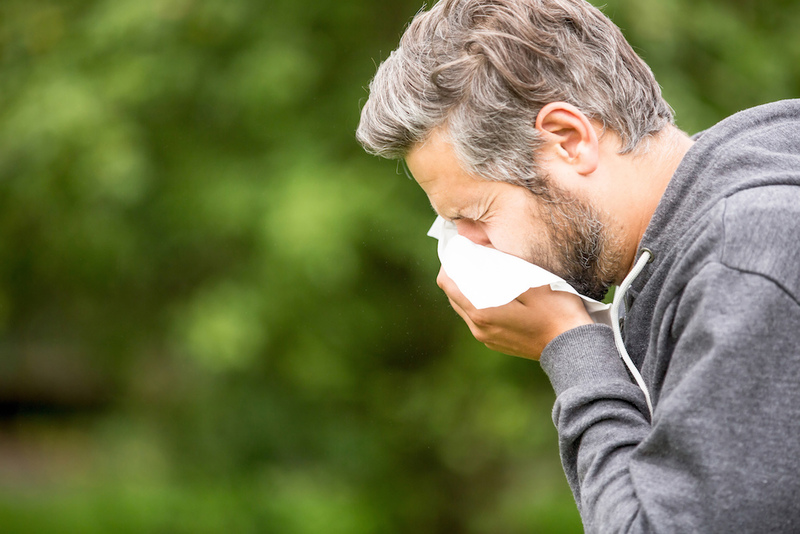 A new study has found that allergy season has worsened because of increased pollen count and changing the climate. Saharanpur (Uttar Pradesh), [India] Feb 22 (ANI): Uttar Pradesh Anti-Terrorist Squad (ATS) on Friday got two days custody of the two suspected Pakistan-based Jaish-e-Mohammed (JeM) terrorists who were caught from Saharanpur on Thursday, said officials. New Delhi (India), Feb 5 (ANI): Cold weather continued to persist in Delhi on Tuesday and a thick blanket of fog enveloped the national capital in the morning causing a dip in visibility and affecting the schedules of as many as two dozen trains. New Delhi (India), Jan 30 (ANI): Thunderstorms accompanied by hail over the next two days are set to see temperatures dip further in the national capital, which recorded a minimum of 5.2 degrees Celsius, four degrees below normal. Erbil [Iraq], Jan 27 (ANI): Three Iraqi civilians were shot and wounded by Turkish troops after scores of protesters stormed a Turkish military base in Northern Iraq on Saturday. New Delhi [India] Jan25 (ANI): At least 11 Delhi-bound trains were running late on Friday as visibility in some parts of northern India plummeted below 100 meters. New Delhi [India], Jan 15 (ANI): As many as 13 trains coming into Delhi were delayed as thick fog engulfed the national capital and its surrounding areas on Tuesday.